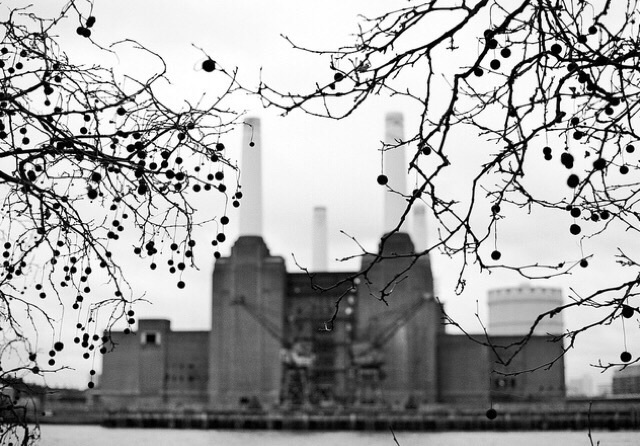 The London plane tree accounts for over half of our city's tree population. With such arboreal omnipresence it's easy to overlook just what a distinctive tree this is. The sight that catches at eye level and will be familiar to most people is its khaki camouflage-patterned bark. This mottled mix of grey, olive and cream is pleasing on the eye and if you could imagine such a thing as a benign militia lining our city streets, it would surely look something like a procession of London planes. Yet despite the tree's ubiquity it was only 'discovered' in the mid-17th century by John Tradescant the younger in his famous nursery garden and ark in Vauxhall. And 'discovered' in the sense that there's a possibility the tree did not exist before this time. 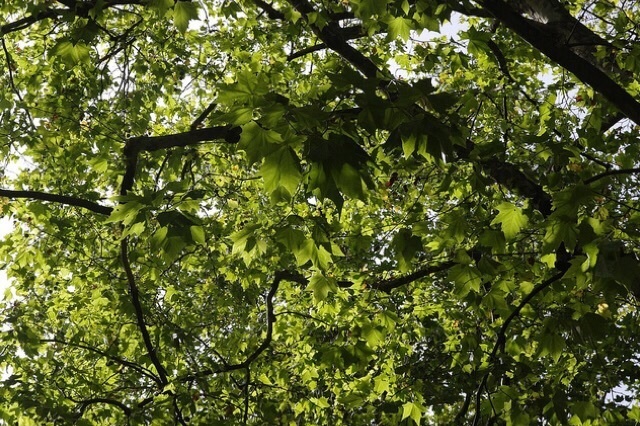 So why was London's most popular tree so late on the scene? London plane's famous bark: Photo: Tributory. Here we have to go into the tree's family history. 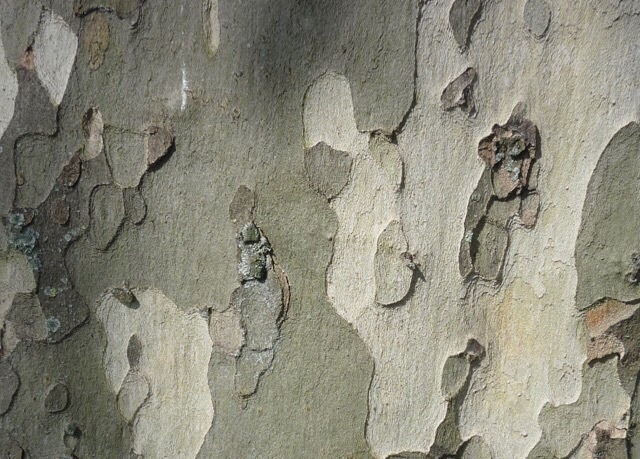 The London Plane is most likely a hybrid between the American sycamore and the majestic Oriental plane. It took a long time for these 'lovers' to meet — the two trees thwarted by growing on opposite sides of the globe. But it seems the voyages of the early modern period with routine collections of specimens being brought home led to the American sycamore's journey from its native eastern America, and the Oriental plane from southeast Europe. The first account of the Oriental plane in Britain is found in William Turner's 1548 book: Names Of Herbs. While the American sycamore perhaps arrived some 150 years or so later at the beginning of the 17th century. Due to the height of the trees it is possible to peer into Berkeley Square from a distance. Photo: Anatoleya. 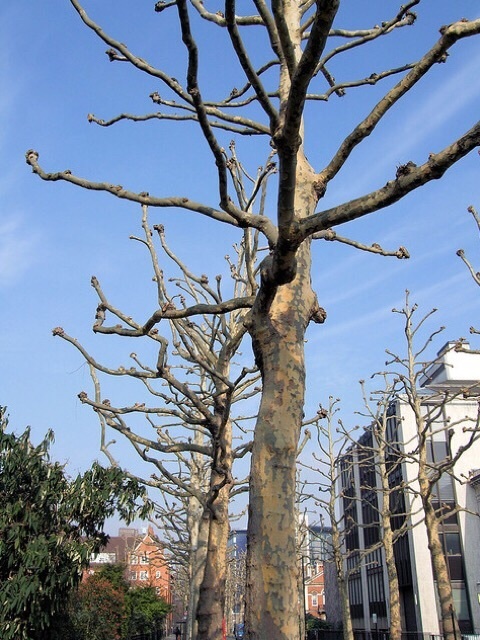 The London plane would then have hybridised when its 'parents' found themselves sharing the same space. There is some probability that this was in the very Vauxhall garden where Tradescant first found the tree since both requisite family members were indeed there. 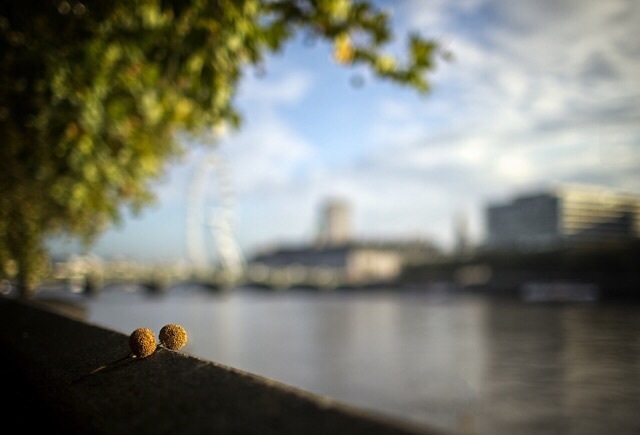 But how did it go from interesting curiosity to the urban tree of choice lining so many of London's streets? It was planted en masse at a time when London was black with soot and smoke from the Industrial Revolution and when population expansion forced greater urban planning. Taking a cue from the plane-lined boulevards built in Paris from around 1850, the tree flourished in London due to its hardy characteristics. Pollarded planes in John Islip Street. Photo: Jim Linwood. Take that camouflage bark, for instance, it's more than just an accidentally attractive quality. It has that pattern because the bark breaks away in large flakes in order that the tree can cleanse itself of pollutants. It also requires little root space and can survive in most soils. True, it grows to some 30 metres tall so when trees line a street they can cause problems for London buses and overhanging wires. But then it's also an unusual tree in that it can flourish despite pollarding (the pruning of branches that often gives the tree a club-limbed appearance). The rather beautiful maple-like leaves, shaped like a five pointed star, also have an otter-like sleekness. The daily London grime simply rinses away, leaving the leaves a lush green. The plane's canopy of leaves. Photo: Andrea Kirkby. However, the plane does maintain many of its ornamental qualities too. The best place to view the tree is perhaps Berkeley Square. Here the 30 or so examples were planted in 1789 and are among the oldest in London. What's more, due to the height by which the branches expand into a canopy like structure, Berkeley Square is one of only a few where it's possible to peer into the square from a distance (usually while attempting to cross the Mayfair streets). The one real negative quality is for allergy sufferers, who must be wary of the spores released from the tree's fruit. But those that don't have this to consider will find these comical little baubles another pleasing quality. All in all it is a tree that can be said to be a true Londoner born and bred, to the extent that it even took the city's name. For more on the London plane try The Great Trees Of London (Time Out) and The Trees That Made Britain by Archie Mills.